BHUBANESWAR, India - Jan. 13, 2018 - PRLog -- W3Webzone is one of the leading web designing and development firm announced this week that Infotech Webonline has officially changed its name to W3Webzone, an industry leader in web applications, mobile technologies, search engine optimizations and technology supports working in advanced content management systems since 2008 and involved in many big projects for diversified businesses of different clients across the globe. 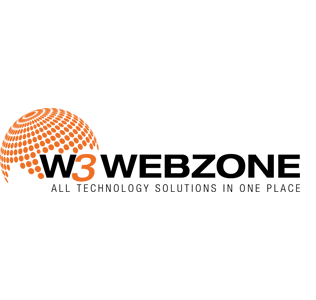 W3Webzone, has recently extended its business portfolio in multiple segments to rebranding its technology services to attract more number of customers. Our business operations spread in multiple technologies depending on specifications on the current trend and business need. Our main aim is to highly goal oriented to satisfy our valuable customer's requirement. A new logo, website and marketing messagehasbeencreated–"WorldClassDesignSolutions"–which is now part of W3Webzone business identity. This name change better reflects the current and future direction of the company." We're very excited about the name change and being directly associated with business reforms which allows us to increaseourabilitiestounderstandrequirementsofourprospectivecustomerswhileutilizing our new marketing strategies. Our new website will be ​http://www.w3webzone.com and company new email id will be used help@w3webzone.com for all correspondence in future. So all clients, customers and employees those who are directly and indirectly associated with us are requested to use above mentioned modeforfuture correspondent. Our company social media account like facebook, twitter, instagram will also be changed from infotech Webonline to W3Webzone.